True Travel Omaha – Travel the true way. Just send us your trip details and away you go! TRUE TRAVEL is a travel agency with a unique international travel expertise. Our process ensures a competitive edge, which will save you time and money. Plus quick and friendly service, which you deserve. 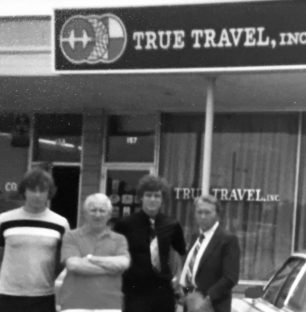 Since 1978, TRUE TRAVEL has been providing personalized and timely travel services for travelers in Omaha, Nebraska, USA, and around the world. We offer airfare and accommodation packages for international destinations as well as popular domestic locations. Our friendly local travel agents provide a personal level of service that will bring you back for your next trip. You can trust TRUE TRAVEL Omaha to provide time-saving, expert guidance for all of your travel needs. Just select one of the service categories below, and find the green ‘go’ button to start our process with direct access to 600 airlines and & over 650,000 hotel properties. Your trip will be on your calendar in no time. Our experienced and expert staff will book the best flight schedule and associated arrangements for your next international trip. Our rates are competitive and are often times lower than the internet prices. Our group team will respond to your request quickly and will tailor your arrangements according to your trip parameters. If you are planning a group trip and will have more than ten people traveling together on the same schedule, then you qualify for special group flight arrangements. There are so many travel destinations and so many things to see. Let us know what you are interested in seeing and we will find the tour or travel package that will match you and your interests. Are you interested in joining or hosting a Pilgrimage tour or a trip to the Holy Land? Or would you like to join one of the missionary teams that travel out of the country and help lift up the many needy communities throughout the world? Let us know and we will get you plugged in. We have access to deals and daily updates from the vacation package companies and cruise lines and can help you with specific recommendations that will print your ticket to fun and relaxation. True Travel of Omaha can confirm a competitive and convenient flight deal for you and our valued VIP business travel clients. Whether it’s an international business trip, a last minute trip or business class flights, contact us. You will be treated as the VIP that you are. Today’s travel is different, but we are the same travel agency. We are committed to the success of your trip. We are on your side, so we will offer you the best options within your budget. Can’t find what you’re looking for? We have a dedicated team ready to answer your question and help you out, wherever you might be.